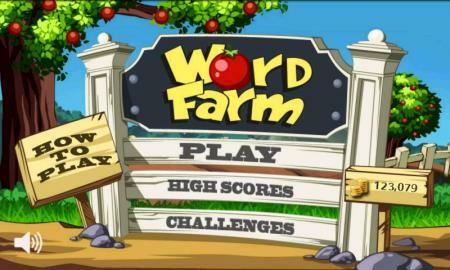 Word games are always a great way to pass some time along while getting to stimulate your brain a bit in the process. Word Farm is a great free application available in the Android market that allows you to spend countless hours connecting letters to form words. The concept of the game is quite simple, connect the letters on the board to form as many words as possible in the minute time frame that is given. The first few games are quite tough, it is a great challenge to connect the letters and form words, and submit them all while keeping your eye off the timer. After getting the hang of a few games I was moving through them much quicker, the score continued to rise and rise, and before I knew it a whole hour had passed. The game offers in app purchases which allow you to buy various power-ups and other items to help your score rise, and allow you to beat some of your friends in score. For the ever so lovely price of free, there is really no reason to skip out on downloading this game and giving it a shot. So, get to downloading, and be sure to let us know your scores! Hit the break for a few more screen shots and the download links. Quick uninstall apps.Support sort by name,date and size.Support refresh. Feature: Pink theme.